As in every other tourist destination, traveling might require renting a car or van to enjoy the independence of self mobility. 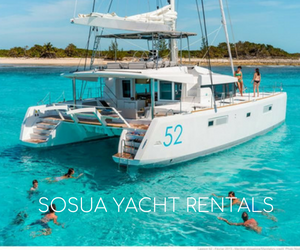 Sosua car rentals are available in worldwide franchises, local agencies and street dealers around town. POP airport has a dedicated area that services travelers right at the airport, though fares vary and some people would prefer to deal with the local people instead. Check the oil, coolant, emergency kit and spare tire. There`s a lot of new options available in Sosua, and rental car agencies offer a lot of SUVs such as the Suzuki Vitara, Mitsubishi Montero, Honda CRV and some Geo tracker jeeps. Ok Motors in Sosua has good rates, specially if booking a week or more. Small sedans like the Kia Picanto, cost between $27-39.00 dollars per day. As of this writing, the Wrangler Jeep rate was $45-60 per day, depending on whether booked for 3 or more days. The Kia Rio cost is $29-44 per day. The higher end Porsche Cayenne tags at $90-120 a day; Kia Sportage costs $50-70 per day. A Toyota Sienna cost is $60-99 per day, fits 8 people. Driving in the Dominican Republic takes some patience, so it is common to see someone rent a car and pay a local to drive them around. Taxi drivers also work as private drivers for about $100/day with Toyota and Hyundai vans. If someone plans to drink alcohol and party with no limit, it is best not to drive. If you need a van for 7, 12,16 and 19 passengers call 809-571-4808. All the drivers belong to the Sosua-Cabarete Taxi Association. Wheelchair friendly van with ramp and trained driver is also available.